What is The Master Executive Council? 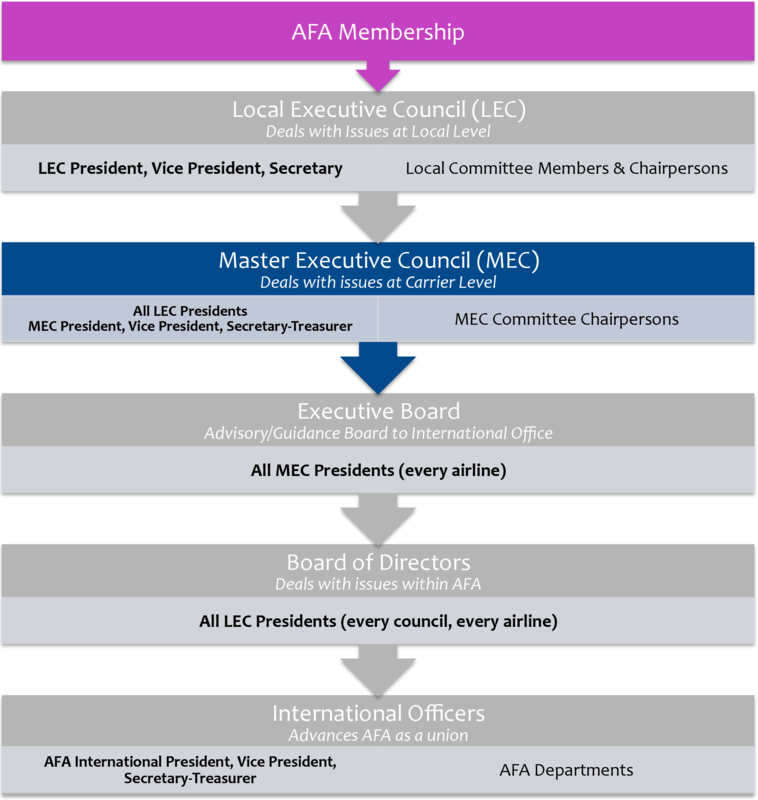 All Local Executive Councils within an airline form the Master Executive Council (MEC). The MEC is responsible for coordinating the activities of AFA across an entire airline. Each LEC President sits on the MEC as the voting member for the members of the Local Council that they represent. The LEC Presidents elect three officers to lead the MEC: a President, Vice President, and Secretary-Treasurer. These MEC Officers serve a three year term when elected. They do not carry a vote on the MEC with the exception of the MEC President, who votes only to break a tie. The Alaska MEC is in AFA election category I. Specific election and term of office dates can be found on the MEC officer page. The MEC meets once per month (except December) to conduct the business of AFA at Alaska Airlines. Meetings are usually held at the MEC Office in Seattle, WA. If you have a question, concern, or item of business you would like brought before the MEC, contact your LEC President.